Howard Phillips Lovecraft is considered by many to be the godfather of modern horror—and appropriately so, for his macabre influence can be seen far and wide while navigating the 21st century pop culture landscape. 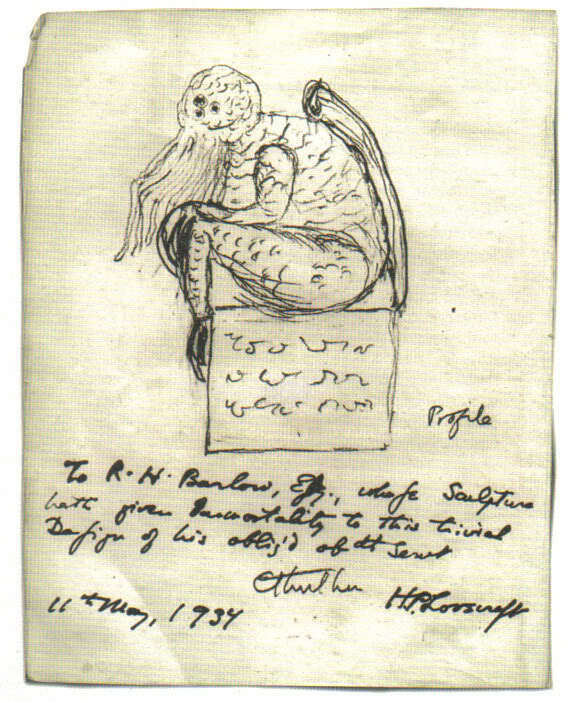 For me, Lovecraft was something of a gatekeeper to the widening world of weird literature at a time of my life when discovery was critical to my development as both a young storyteller and a fledgling game master. Lovecraft is one of the preeminent writers of the classic “Weird Tales” era of pulp storytelling (and likely the most celebrated). And though his contemporary (and ofttime pen pal) Robert E. Howard would inevitably leave more of an impression on emerging game designers Gary Gygax and Dave Arneson, Lovecraft’s grim legacy—much like the incessant Call of Cthulhu itself—is inescapable. The Midgard Campaign Setting from Kobold Press features its own nebulous corner of Lovecraft country: Ginnungagap, the Yawning Void. And though little can be definitively said of it, let’s explore those “tenuous paths” in an effort to discover something of the creatures from that “distant and primordial realm” so elusively referenced by the Midgard scholars. When it comes to suffusing Pathfinder with the Cthulhu Mythos, one need look no further than the game’s core bestiaries for an appropriate uncanny menace to get the party startled. From the aboleth to the zombie, the original Pathfinder Bestiary features a handful of suitably Lovecraftian horrors (least of all the shoggoth). – Blood Hag. The blood hag is just the kind of gruesome, lone monstrosity that Mythos cultists would summon from the depths of some deep, black woods via ancient rite to wreak bloody havoc on the unsuspecting. – Cavelight Moss. When it comes to cooking up a Cthulhoid atmosphere, phosphorescent flora always do the trick. This dangerous, bioluminescent moss has an almost alien quality to it that evokes some of the hallmarks of cosmic horror. – Chelicerae. The first time I read its description, this arachnid aberration reminded me of Stephen King’s eponymous IT (arguably his most Lovecraftian tale, despite its subversive and colloquial nature). A more intelligent version of the Chelicerae would be a formidable and alien foe indeed. – Dream Eater. 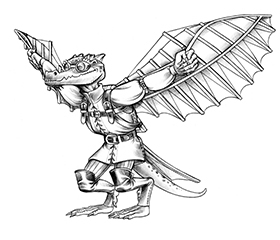 This winged outsider feels like something of a long-lost cousin to Lovecraft’s Nightgaunt and would be right at home on a voyage to Oriab Isle. – Drowned Maiden. This undead horror evokes memories of the antagonist from Peter Straub’s Ghost Story, a star-crossed tale in the Lovecraft tradition if ever there was one. – Isonade. The gargantuan nature of this enchanted leviathan makes it a likely candidate for any seaside cult’s devoted (and likely misguided) prayers. – Kot Bayun. 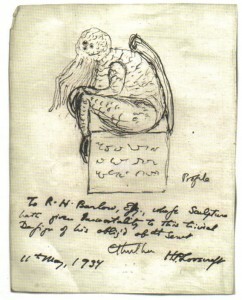 Lovecraft’s obsession with cats was no secret. And though the Kot Bayun is of Russian and Slavic origin, looking at this creature through an Egyptian lens (an ambassador of Bast perhaps?) could provide a distinctly Lovecraftian flavor. – Likho. Although the Bestiary places these monstrous humanoids among the temperate and warm forests and hills of Midgard, I like to imagine waves of these gibbering, cyclopean creatures tearing across the distorted landscapes of nightmares and worlds beyond. – Mindrot Thrall. This ode to Don Siegel’s titular Body Snatchers presents the very definition of cosmic horror. The manual even makes reference to “shambling, otherworldly” haunters of the Western Wastes. What more could you ask for? – Phantasmal Creature. Unholy rituals or mad science gone wrong… With the right touch, this template can add an otherworldly edge to an otherwise realistic menace. – Putrid Haunt. This insidious zombie variant belongs in any self-respecting horror campaign. Period. – Strangling Watcher. The Urochar is definitely a weird one. With fear-based special attacks and defenses for days, this subterranean cyclopean terror is—much like the Great Old Ones themselves—effectively immortal. – Stuhac. The origin of these extraplanar predators is delightfully obscure. I imagine them to be cousins of those dreaded Denizens of Leng. But feel free to come to your own foul conclusions. Chris Lockey is a professional warrior poet and amateur cryptozoologist who hails from the black woods of the North Carolina badlands. He currently lives in Los Angeles in lasting servitude to the Old Ones.